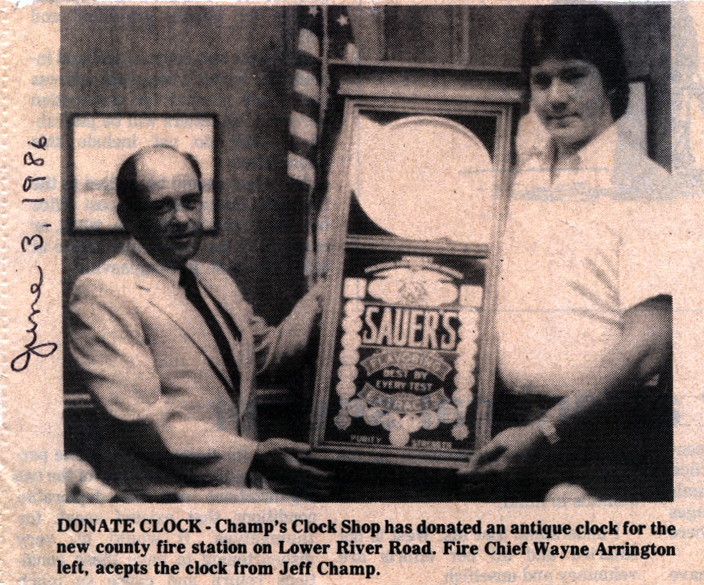 Champ's Clock Shop has been family owned and operated in it's original location since 1967. 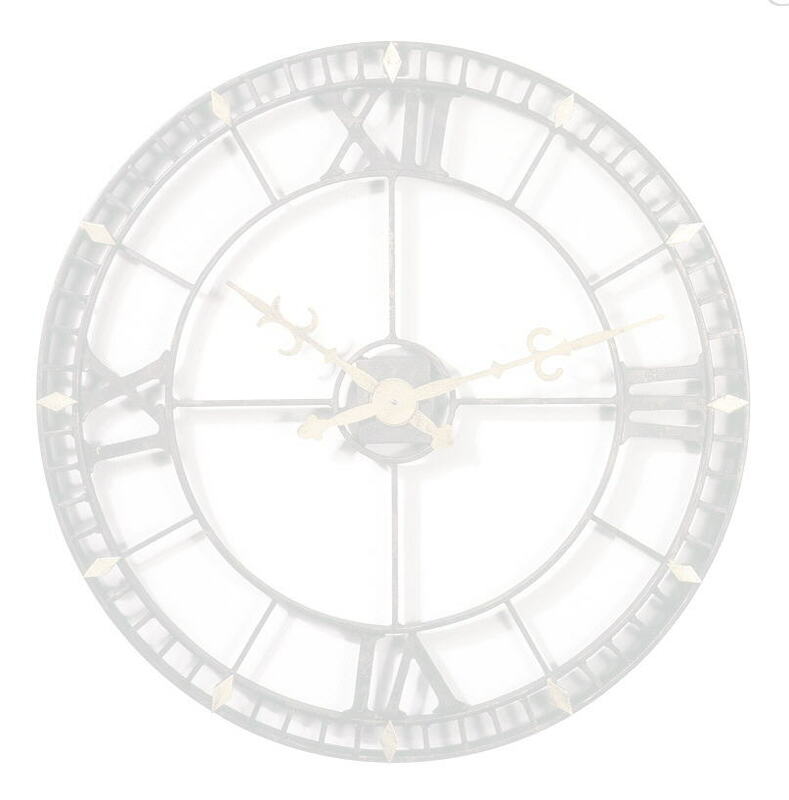 Our "Out in the Country" location and low overhead allow us to provide a larger selection of high quality clocks at a much better price to the consumer. 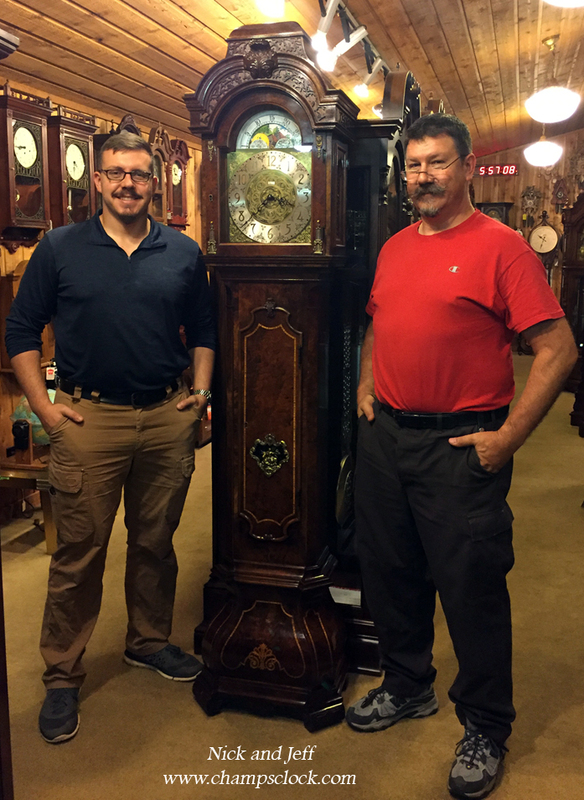 The company was started as a hobby by William Jerry (Champ) Champion while he was employed by the City of Atlanta as a fire fighter and through word of mouth grew to the World's Largest & Finest Selection of clocks. The company name originally was a nick name (Champ) given to Mr.Champion by his fellow firemen and jokingly the locker he was working out of was referred to as "Champ's Clock Shop". That was a long time ago. Jeff Champion, Champ's son began helping in the business with show setups, deliveries and was cheif tool hander since 1976. Jeff became a full time employee in January of 1984 and is currently General Manager, Service Technician, Sales, Buyer, Etc..
Nick Champion, Jeff's son began full time employment July 29th 2014 to carry on as our Third Generation in the clock business. Nick currently does In home Clock Service, Delivery, Local Moves, Case Repairs, etc.. We are Proud to have him with us. Pat Scheid, Jeff's Aunt-in-Law is our Do All, Anything - Sales, Service, Rhythm Clock Repair Specialist, Over the phone assistant and we are proud to say she has been with us since April 3rd 1996. Over 20 years GREAT! Andrew Miles, Jeff's Brother-n-Law came on as a Clock repair apprentice June 13th 2011 and has become quite accomplished Repairing all kinds of clocks. Greatful to have him. Just about any time you visit you will be greeted by Sharon, Wife of Jerry Champion. 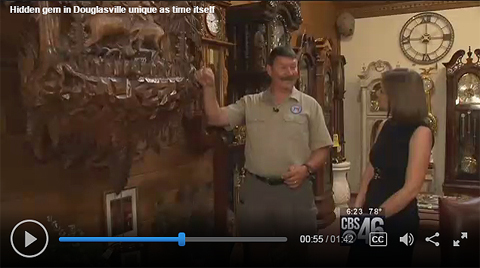 She loves to give the Shop Tour, Telling our history and demonstrating our many unique clocks and artifacts of time. We think the key to our company growth is a result of giving our customers what they really want when purchasing a clock. Over 99% of our customers from all over the world have rated us "Excellent" in Selection, Quality, Salesperson Knowledge, and the best Price. Every clock purchased is removed from its box and inspected. All are test run, detailed, & fine tuned by clock perfectionists. Clocks being shipped out are treated with the same professional care. Deliveries in metro Atlanta area are made only by a clock professional. A complete orientation is given describing all features and operations of the clock. 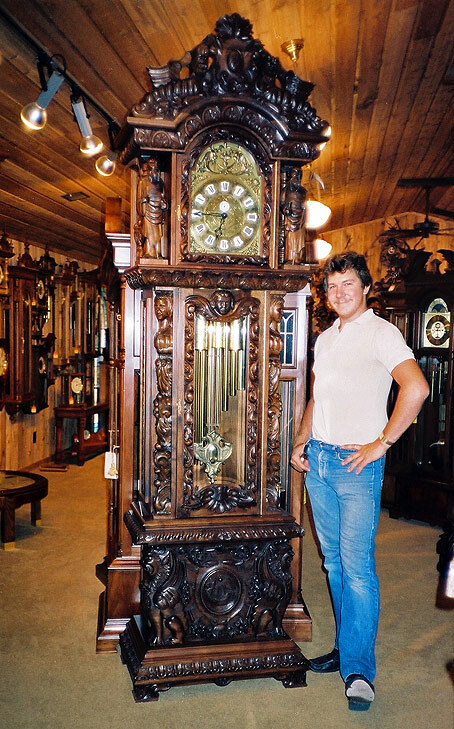 All delivered Grandfather Clocks are covered by Champs three year in home warranty . All others have factory warranty. Please take the time when in the vicinity of Atlanta, Georgia to visit our store / museum . We look forward to serving you. 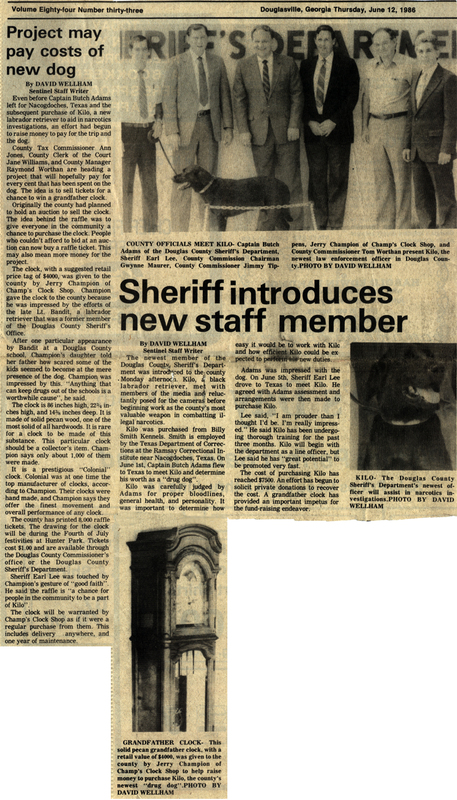 Courtesy of WXIA TV 11 Alive News 1984 "Ga. People"